Half of them have never held down a proper job. He couldn’t hold down a job for more than a few months at a time. She had three children, and still managed to hold down a full-time job. 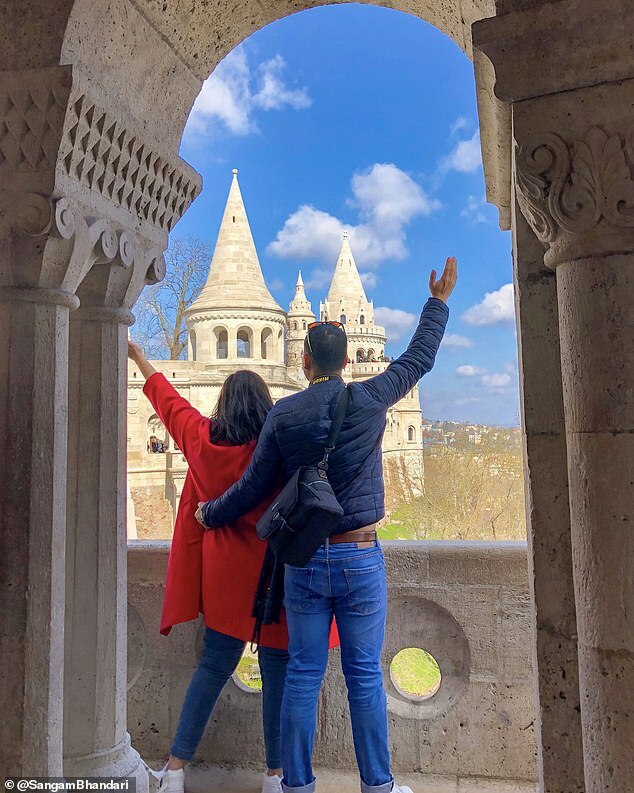 A husband and wife who have nine-to-five jobs in IT have travelled to over 40 countries in two years – and insist their jet-setting lifestyle is achievable for anyone. 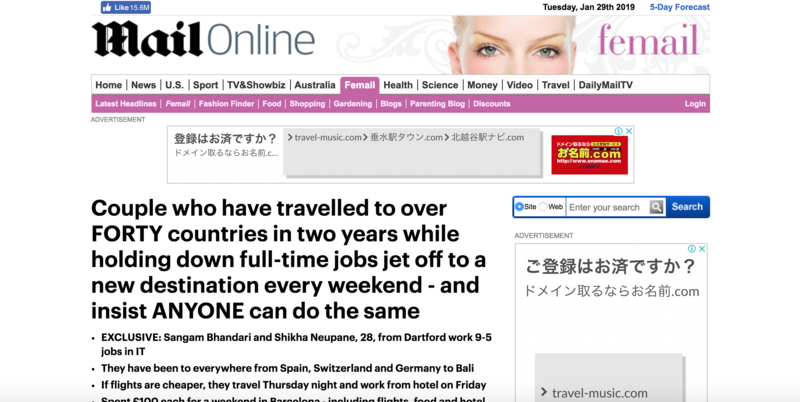 Sangam Bhandari and his wife Shikha Neupane, both 28, from Dartford, Kent each earn around £50K a year and have a mortgage to pay, but jet off to another country almost every single weekend at a cost of £1,500 a month. Shikha who works for Transport For London, and Sangam who has a job at an IT consultancy company, have explored over 40 countries in the past two years alone, and say you can do the same too – even if you’re on a budget. Sangam says the key to enjoying frequent travel is to plan ahead to get the best deals; cut back on luxuries such as the latest phones, and keep an eye on what you’re spending during the working week. ‘Add the cost of breakfast, coffee, snacks, some after-work dinner and drinks, it can quickly add up,’ he said. He added that if you count the cost of what you’d spend on food and socialising on a typical weekend at home, it’s not that different to what you’d spend abroad. ‘If you plan well in advance some of the European destinations can be explored for a weekend for less than £200 for two,’ he said. The IT professionals, work 9am-5pm during weekdays but sometimes jet off on a Thursday evening to take advantage of cheaper flights and then work remotely from their hotel room on the Friday. She is known for her glamorous, jet-setting life. He was a rich and powerful publisher with a jet-setting lifestyle. On my present salary I can’t get a mortgage. They will be jetting off to Spain this weekend. So far the project is more or less on budget. The film is already way over budget. It’s time we cut back a little. We’re trying to cut back on the amount we spend on food. The government has announced plans to cut back on defence spending by 10 percent next year. ‘While travelling is certainly not cheap, there are tricks and trips for reducing the cost,’ said Sangam. ‘A big part of it is planning and organisation. One of the cheapest weekends they’ve had to date was a trip to Barcelona – which cost £100 for the flights, hotel and food. But the pair, who each earn a salary of around £50K, typically spend £300 on weekends away, a total of £1,200 to £1500 a month, plus more for long-haul trips during the year. After some consideration, we’ve decided to sell the house. The whole matter needs (to be given) careful consideration. The rent will be £175 a week, plus (= added to the cost of) gas and electricity. They also manage to save money on flights by occasionally jetting off on a Thursday after work, as they‘re lucky enough to have flexibility in their jobs. ‘If there’s a cheaper flight or hotel we will travel on Thursdays and then work from our hotel,’ Sangam said. But for those whose careers don’t offer such luxuries as flexible working, the keen traveller insists not all is lost. ‘For 90 percent of our trips, we fly Friday evening after work from a London airport,’ explained Sangam. ‘Then we come back Sunday evening or even Monday morning and go directly to work. 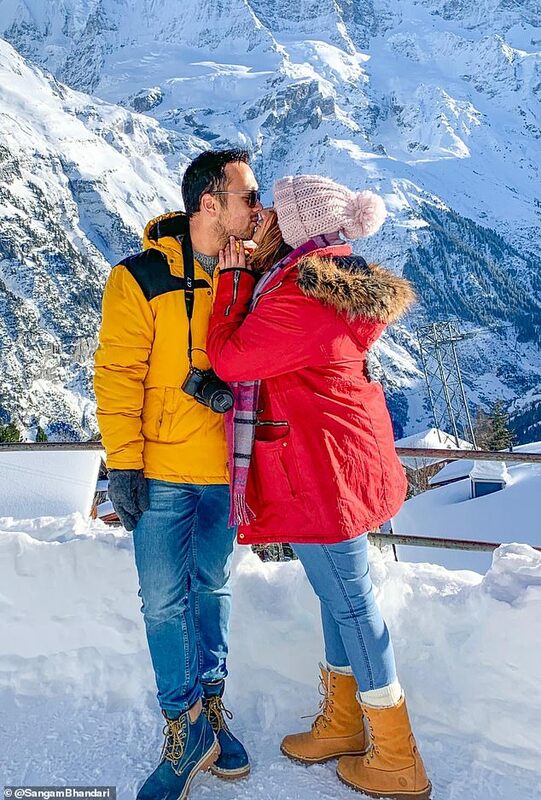 The travel bloggers, who are originally from Nepal, started sharing their adventures on their Instagram accounts @fourhappyfeet back in December 2016 and since then they have amassed almost 40,000 followers. 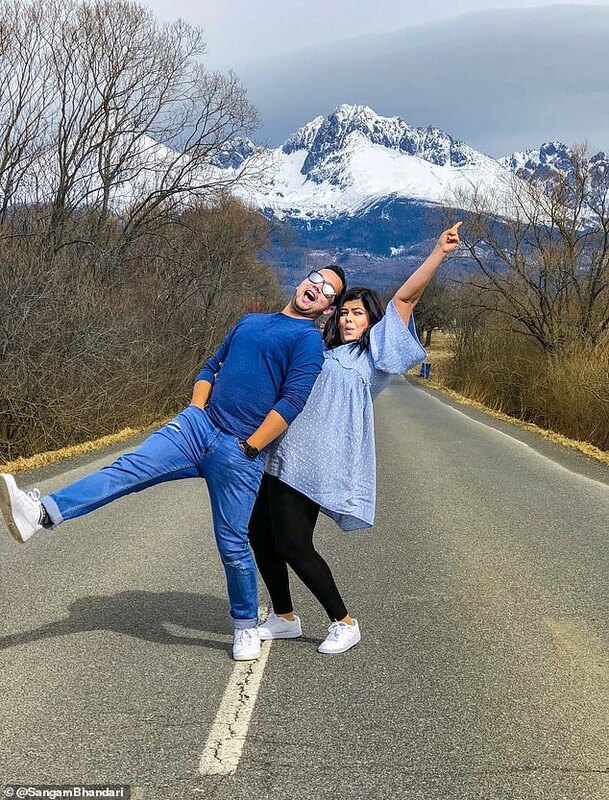 They have even been named among the top five Asian couple travel bloggers in 2018. We go to the theatre only very occasionally (=not often). I see him occasionally in town. Occasionally I’ll have a piece of chocolate, but it’s very rare. The advantage of this system is its flexibility. The schedule doesn’t allow much flexibility. A more flexible approach to childcare arrangements is needed. The job offers flexible working hours. My schedule is flexible – I could arrange to meet with you any day next week. I’m fortunate because my job has flexible hours, and I can come and go pretty much as I want. Her ambition was fuelled by her older sister’s achievements. But travelling hasn’t always been a normal way of life for the pair who have been together for nine years. ‘Being from Nepal and not coming from an affluent family, my parents didn’t have the resources to take me on holidays,‘ explained Sangam. 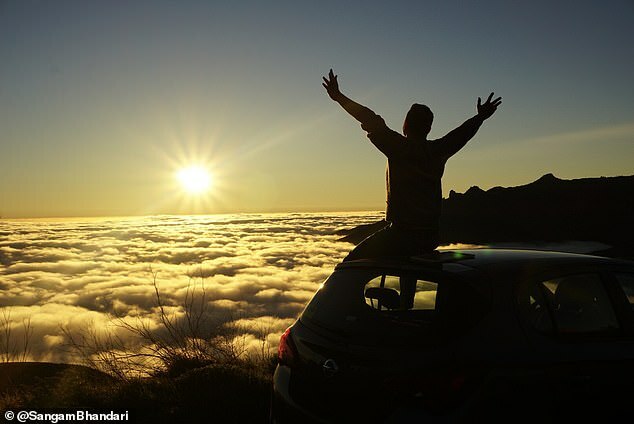 The keen Instagrammers emphasise the importance of managing your finances – and say that some sacrifices need to be paid if you wish to replicate a lifestyle like theirs. ‘We’re fortunate we have jobs that pay us sort of well,’ said the experienced traveller. ‘But you must prioritise. We don’t go to fancy restaurants or on dinner dates very often, as we do that when we travel. In addition to their weekends away, they also take several long-haul holidays each year. Other scientists have been unable to replicate his results. This room is mainly utilized for training purposes. What criteria do you utilize in selecting employees? The library’s great collection allowed me to utilize many rare sources. Centre (= put at equal distances from the left and right sides of the page) all the headings in this document. I have so many things on my bucket list yet to do. Antarctica is one of the few places on my bucket list. 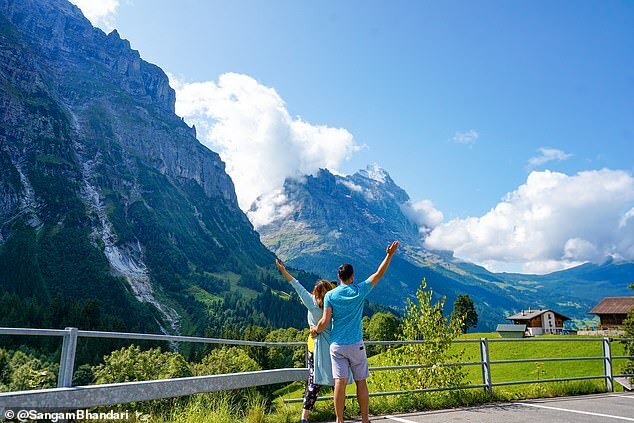 The couple are so passionate about travelling they spend hours replying to the hundreds of messages they receive on their Instagram account – with the majority of people keen to know how they can live a similar lifestyle. Joe is passionate about baseball (= he likes it very much). She was passionate about flying.